Fence Workshop™ of Kissimmee, FL is a local fence company and leading supplier of vinyl fences and gates. We supply vinyl/PVC picket, privacy and post and rail fencing for residential and commercial customers in and around Kissimmee, Florida. Orlando has a wide variety of reasons for needing a fence, but no matter the reason all of these fences should be good looking. Vinyl is a great material to build with, pleasing on the eye and long lasting. It can look perfect around your neighborhood home or your downtown Kissimmee business. Vinyl fencing is one of the longest lasting and most aesthetically pleasing fencing options available. 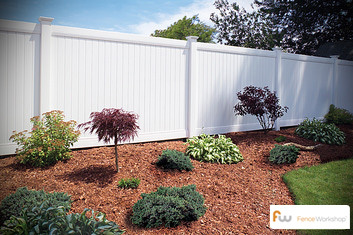 While most of our vinyl fences are white, they are also available in brown and off white colors. If you’re looking for a professional Kissimmee fence company to supply a vinyl fence for your home or commercial project, we want to be your go-to fence supply company. 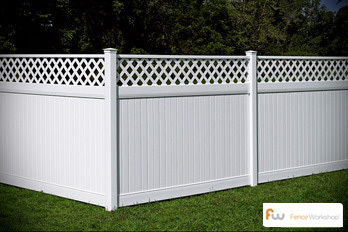 Why choose Fence Workshop™ for vinyl fencing in Kissimmee, Florida? 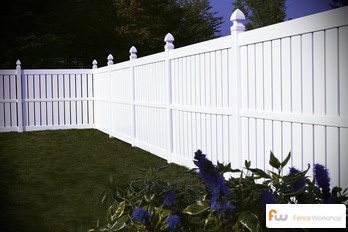 Our vinyl fences come with a lifetime manufacturer’s warranty. All vinyl fences are supplied by our Fence Supply Experts. Farm Fences In Kissimmee, FL. Steel Fences In Kissimmee, FL. Wood Fences In Kissimmee, FL. Aluminum Fences In Kissimmee, FL. Home Fence In Kissimmee, FL.